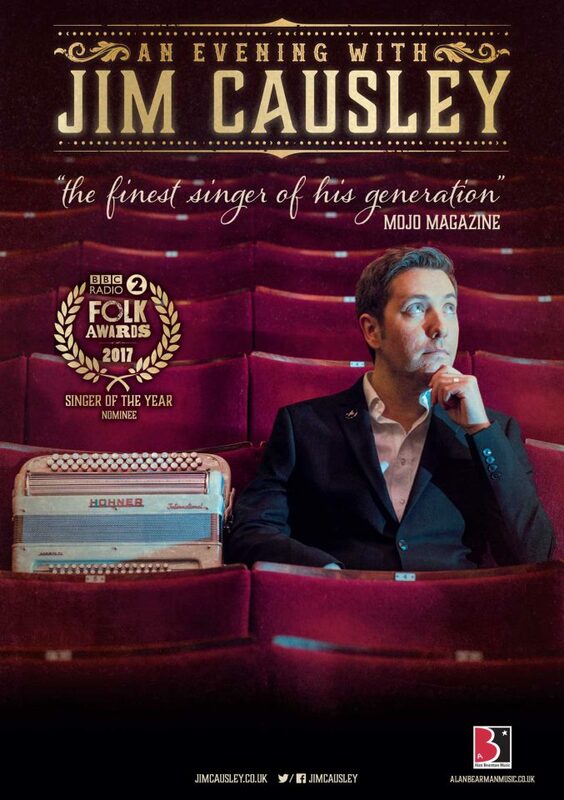 More than simply a folk-singer, multi award winning singer-songwriter and musician Jim Causley is an all-round entertainer and his ‘Evening with’ concerts give a full night of beautiful singing, moving ballads, hilarious ditties and everything in between. Drawing equally from traditional repertoire, modern songs as well as his own compositions and settings of poems by his relative, the celebrated Cornish poet Charles Causley. All accompanied on piano and various accordions and served with a gurt dollop of Westcountry humour, an evening with Jim is an evening not to be missed!